Fall is a time of painted skies. On Sunday we were treated to sun showers and rainbows. 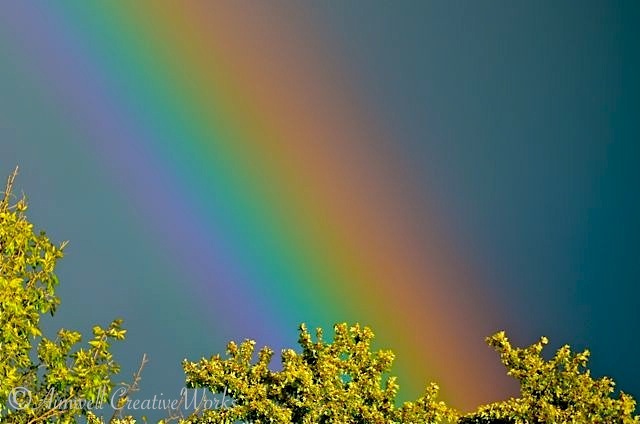 It seemed like everywhere you turned could be seen, off in the distance, a sun-kissed downpour followed moments later by arcs and prisms of colour. The resultant warm, ambient light only served to heighten the drama of autumn’s emerging ruddy palette. Little wonder this is my favourite time of year. 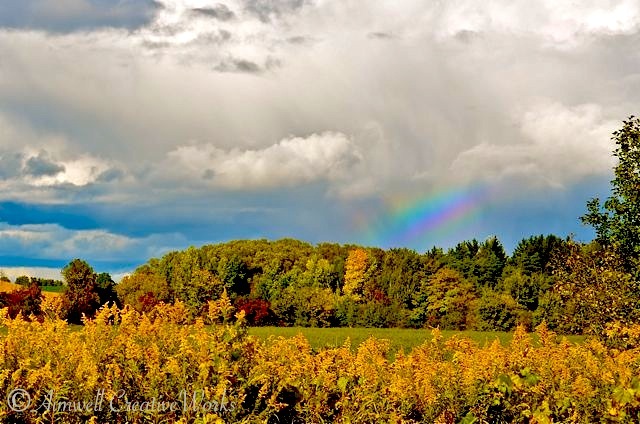 This entry was posted in Landscapes, Nature, Photography, Uncategorized, Writing and tagged Autumn, landscape, Light and shadow, Ontario, Photography, Rainbows, Weather. Bookmark the permalink. Really like the first picture.